My Girls™ Skin Care Cream (formerly known as My Girls™ Radiation Cream) is now available at select pharmacies, oncology boutiques and post-surgery specialty retailers, the manufacturer announced on Wednesday. The skin cream, designed for breast cancer patients undergoing radiation, can be purchased at oncology boutiques including; Mass General Hospital’s Images Boutique, post-surgery specialty retailers such as Lady Grace, Wilkinson Pharmacy and Lots To Live For. McKesson Pharmaceutical will make the cream available to its retailers, including Fagen Pharmacy. My Girls™ creamy formula, now with a new look, has won praise from people undergoing radiation therapy as it spreads easily over skin that may become compromised after radiation. 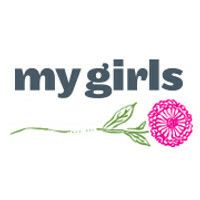 My Girls Cream is non-greasy, non-staining and free of fragrance and dye. “Having My Girls™ Skin Care cream available at retailers located nearby sampling hospitals and radiation centers is a great convenience for cancer patients who can pick up their medications and also find an over-the-counter cream that helps maintain the healthy appearance of their skin after radiation treatments” stated Linda Griffith, a breast cancer survivor and new VP customer care for My Girls™ Skin Care.